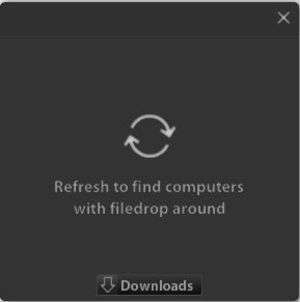 Filedrop is a small and free wireless networking utility which can share files between multiple devices connected to the same WiFi network. Instead of using cables and complicated network setups to share files between devices on the same network, Filedrop simplifies the process. It acts as both a client and a server. Using Filedrop to share files isn't difficult at all. Version 1.1.5 is a freeware program which does not have restrictions and it's free so it doesn't cost anything. For security reasons, you should also check out the Filedrop download at LO4D.com which includes virus and malware tests. Additional screenshots of this application download may be available, too. This category includes networking tools designed specifically for Wireless networks, commonly know as WiFi. Check out some of the freeware downloads available in the wifi app category. They contain no strings and are available at zero cost.